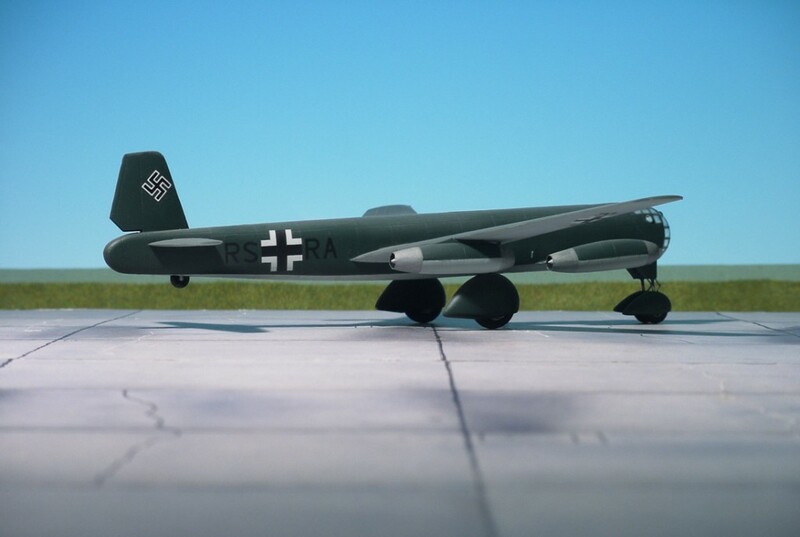 COMMENT: The Ju 287 was intended to provide the Luftwaffe (German Air Force) with a bomber that could avoid interception by outrunning enemy fighters. 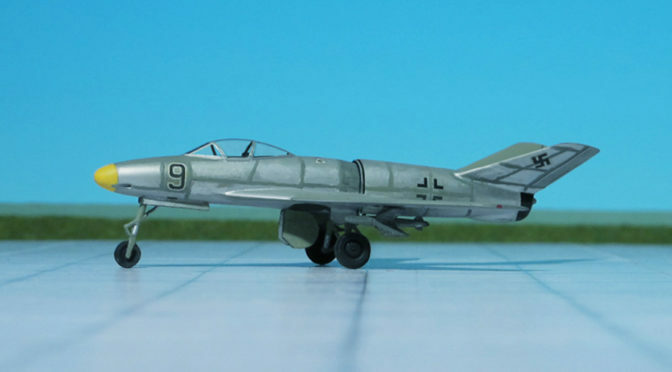 The swept-forward wing was suggested as a way of providing extra lift at low airspeeds, necessary because of the poor responsiveness of early turbojet engines at the vulnerable times of takeoff and landing. 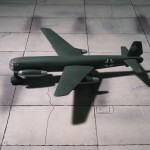 A further structural advantage of the forward-swept wing was that it would allow for a single massive weapons bay forward of the main wing spar. 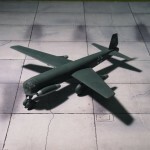 The first prototype was intended to evaluate the concept, and was assembled from the fuselage of a Heinkel He 177, the tail of a Junkers Ju 388, main undercarriage from a Junkers Ju 352, and nose wheels taken from crashed Consolidated B-24 ‘Liberator’, all of which were fixed to lower weight and complexity, and equipped with spats to reduce drag. 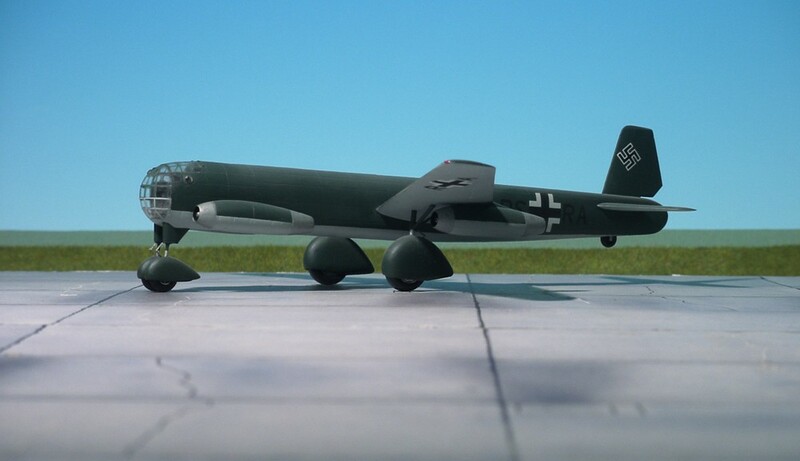 Two of the Junkers Jumo 004 turbojet engines were hung in nacelles (pods) under the wings, with the other two mounted in nacelles added to the sides of the forward fuselage. 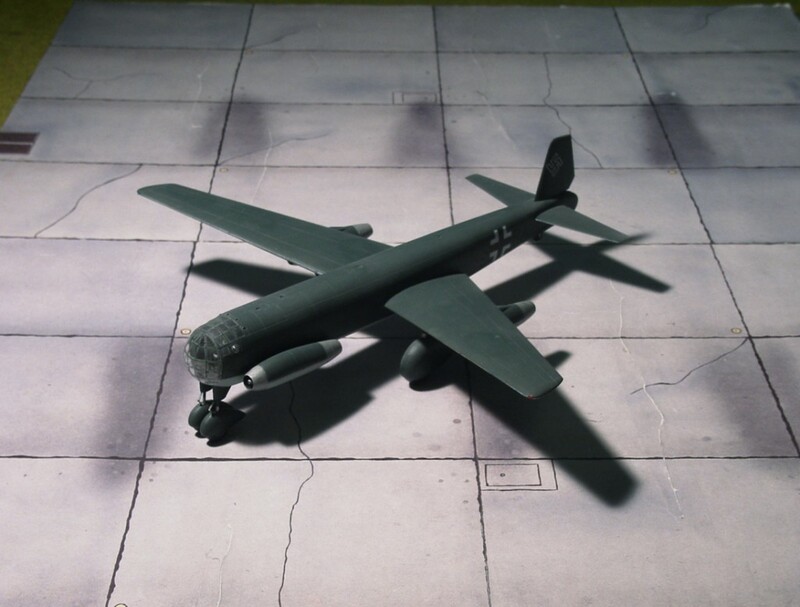 Flight tests began on 16 August 1944, with the aircraft displaying extremely good handling characteristics, as well as revealing some of the problems of the forward-swept wing under some flight conditions. 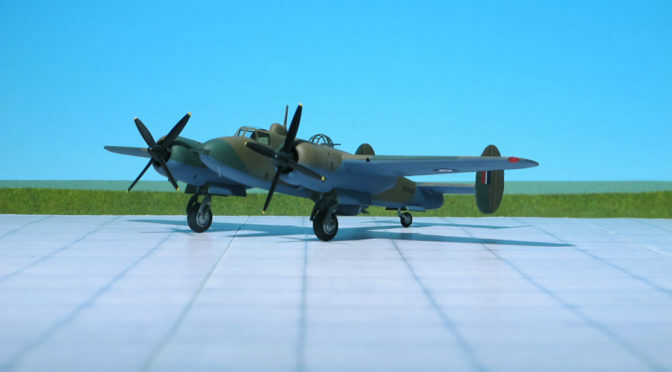 The most notable of these drawbacks was ‘wing warping’, or excessive inflight flexing of the main spar and wing assembly. 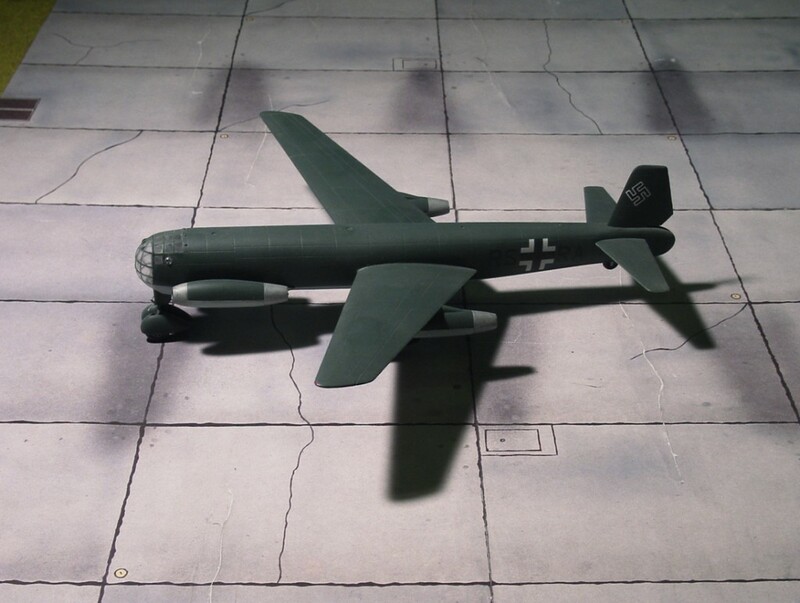 Tests suggested that the warping problem would be eliminated by concentrating greater engine mass under the wings. This technical improvement would be incorporated in the subsequent prototypes. 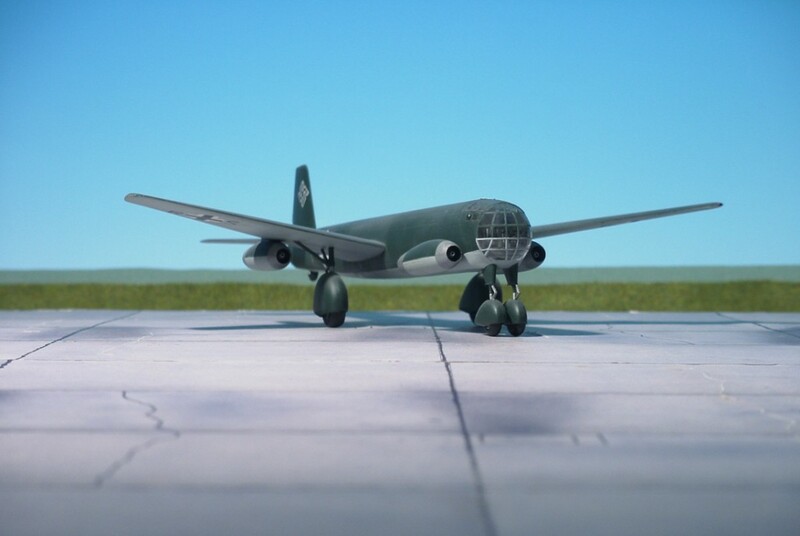 The production version of the Junkers Ju 287 was intended to be powered by four Heinkel-Hirth HeS 011 engines, but because of the development problems experienced with that engine, the BMW 003 was selected in its place. 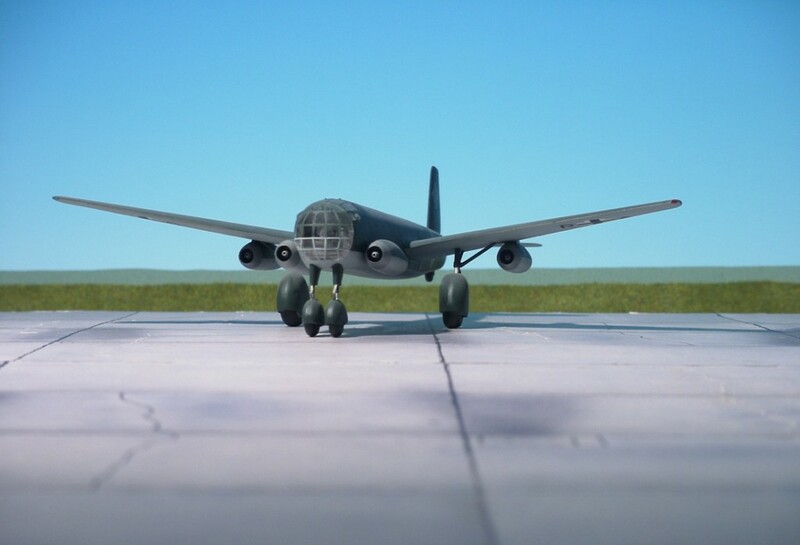 The second and third prototypes, V2 and V3, were to have employed six of these engines, in a triple cluster under each wing. 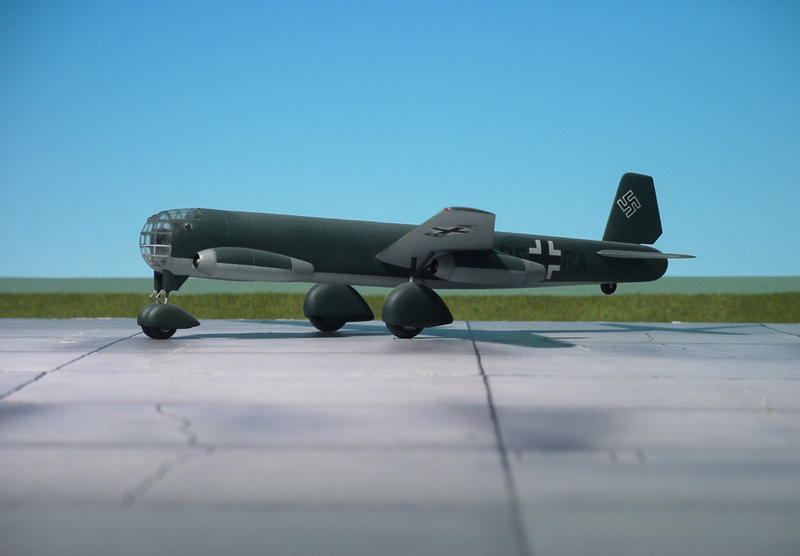 Both were to feature the all-new fuselage and tail design intended for the production bomber, the Ju 287A-1. 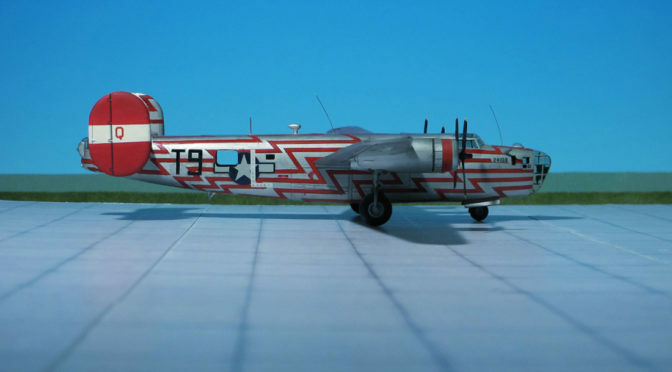 V3 was to have served as the pre-production template, carrying defensive armament, a pressurized cockpit and full operational equipment. 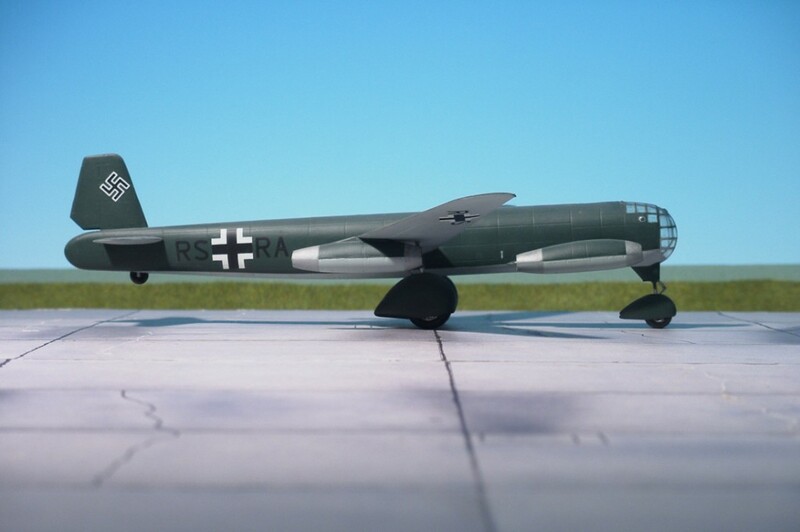 Work on the Ju 287 program, along with all other pending German bomber projects (including Junkers’ other ongoing heavy bomber design, the piston-engined Junkers Ju 488 came to a halt in July 1944, but Junkers was allowed to go forward with the flight testing regime on the V1 prototype. The wing section for the V2 had been completed by that time. 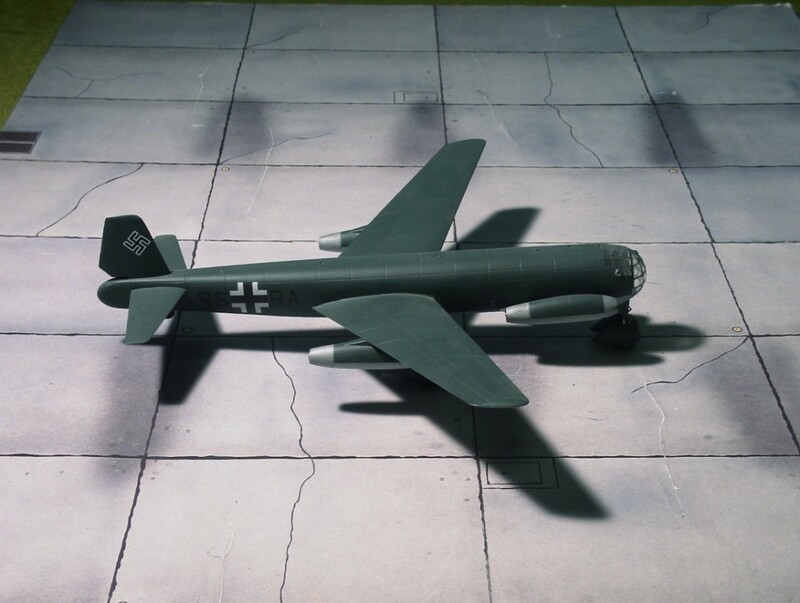 Seventeen test flights were undertaken in total, which passed without notable incident. 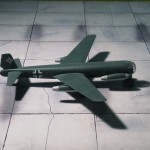 Minor problems, however, did arise with the turbojet engines and the RATO booster units, which proved to be unreliable over sustained periods. 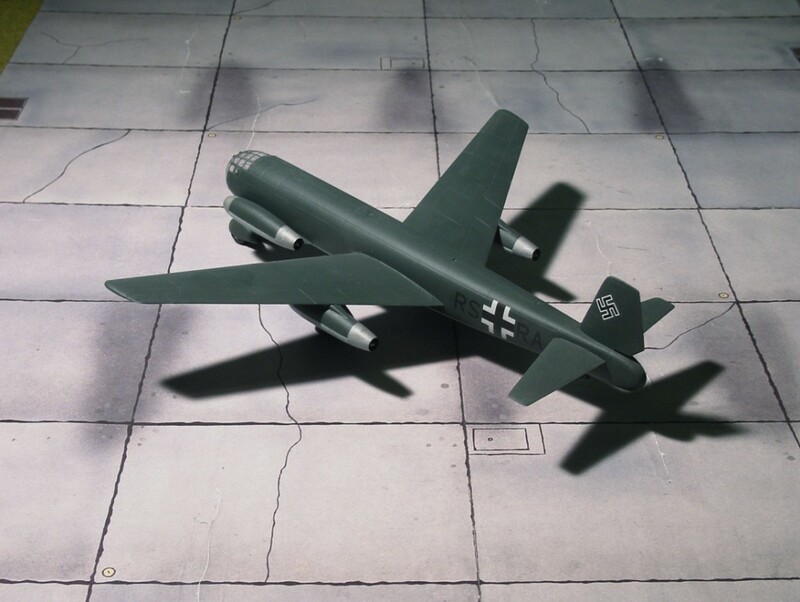 This initial test phase was designed purely to assess the low-speed handling qualities of the forward-swept wing, but despite this the V1 was dived at full jet power on at least. 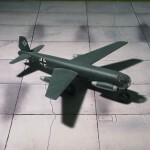 After the seventeenth and last flight in late autumn of 1944, the V1 was placed in storage and the Ju 287 program came to what was then believed to be its end. 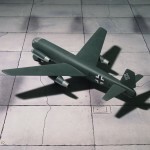 However, in March 1945, for reasons that are not entirely clear, the 287 program was restarted, with the RLM issuing a requirement for mass production of the jet bomber (100 airframes a month) as soon as possible. 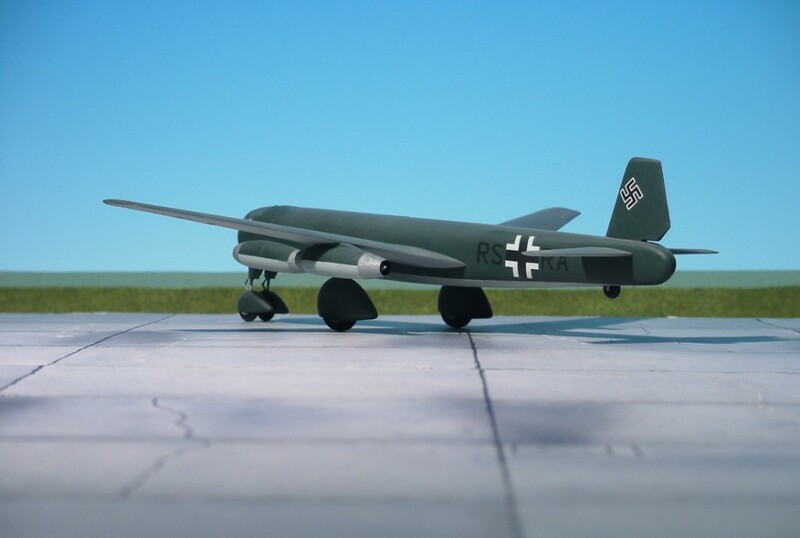 The V1 prototype was taken out of storage and transferred to the Luftwaffe evaluation center at Rechlin, but was destroyed in an Allied bombing raid before it could take to the air again. 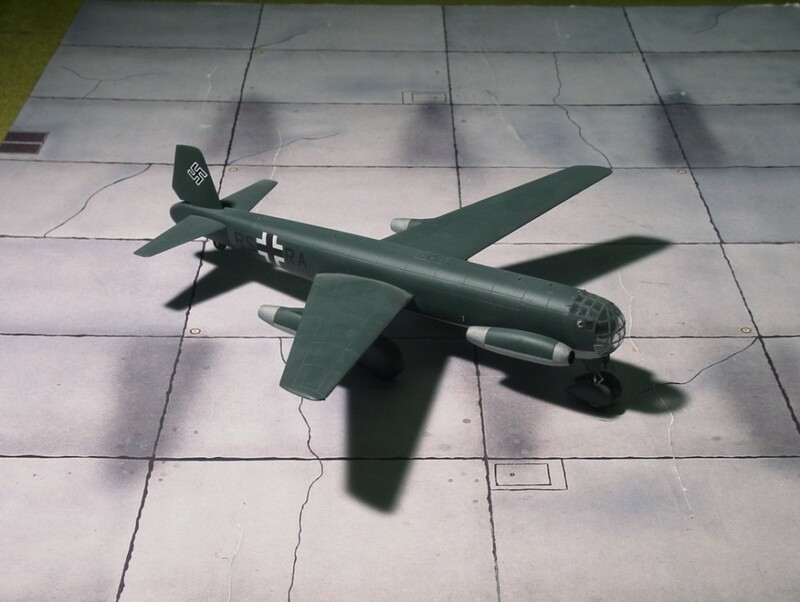 Construction on the V2 and V3 prototypes was resumed at the Junkers factory near Leipzig, where they were captured by Soviet troops and brought to the Soviet Union including the Junkers design team. 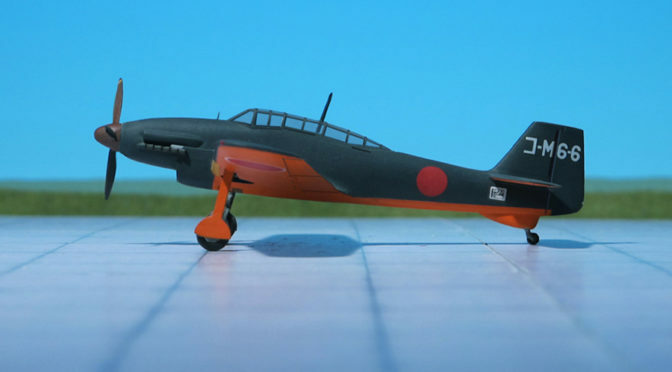 Redesigned in its original work number EF 131 the V3 aircraft flew for the first time in 1947 (Ref. : 24).